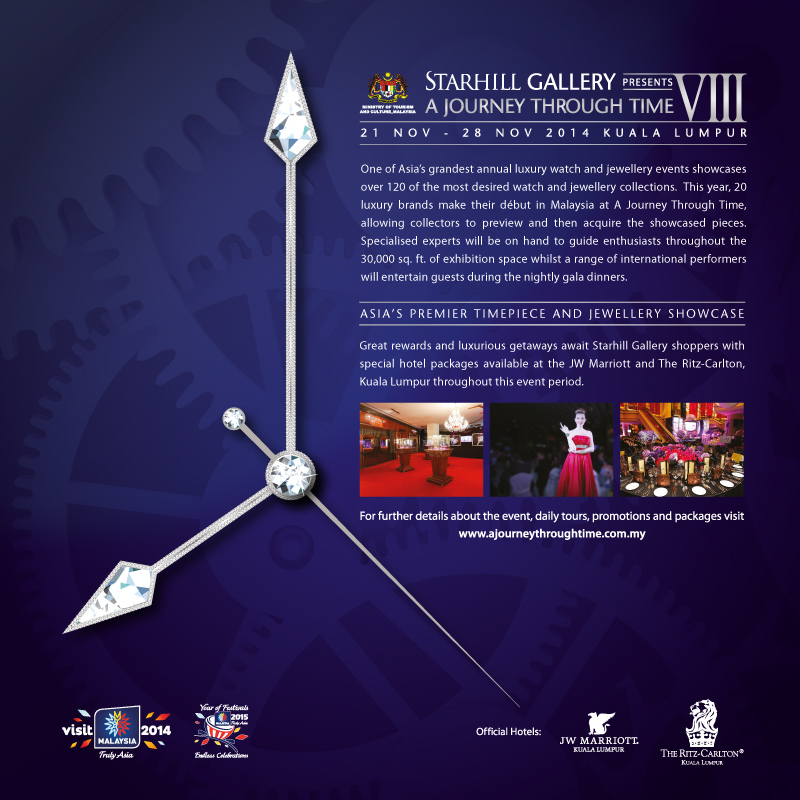 It’s an eight day extravaganza of A Journey Through Time VIII, Asia’s premier watch and jewelry showcase, at the prestigious Starhill Gallery in Kuala Lumpur this November. 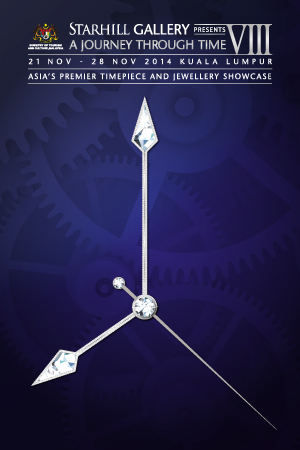 Making its eighth edition, A Journey Through Time has established a worldwide name for hosting the biggest and most renowned names in the global watch and jewelry industries annually at the event. Held from 21 to 28 November 2014, the event is destined to be a powerful prelude to Baselworld with rare private collections, first-in market editions and exquisite pieces from over 125 luxury brands, 20 of which are debuting in Malaysia. The impressive event will span two floors and 30,000 sq. ft of public exhibition space to showcase the luxury watches and jewelries from many notable brands, exclusive and education watch and jewelry talks by specialized experts, guided our led by watch experts from Starhill Gallery’s very own Watch Concierge, chic fashion parade, delectable cuisine as well as entertainment by international artists at the nightly gala dinner. The event journey will conclude with a grand gala dinner with the highlight of recognizing and awarding the most impressive and exquisite pieces. This year, The Journey Through Time will host the gala dinners for eight days consecutively themed Twisted Malaysian Fair at Shook!, Feast Village in Starhill Gallery. Executive Chef Mathew Ona and his kitchen team are set to tantalize many gourmands with his Twisted Malaysian Fair menu of gastronomical delights of the Malaysian cuisine. 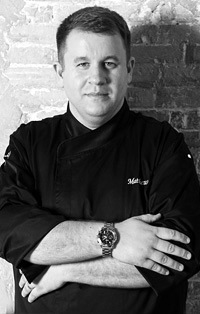 Chef Mathew hailed from Minneapolis, Minnesota and graduated from the Culinary Institute of America. His experience includes a stint in The French Laundry in Napa Valley by renowned Chef Thomas Keller, the award winning Peju Province Winery in Napa V alley, at the exotic Romora Bay Resort & Marina in Harbour Island in the Bahamas, Napa Wine Bar & Kitchen and Kathleen’s 5 Rooftop Restaurant and Bar in Shanghai. With an impressive repertoire of experiences, he is now leading Shook! with many new initiatives which includes a new menu for the interactive sensory restaurant with an open-kitchen concept. Shook! 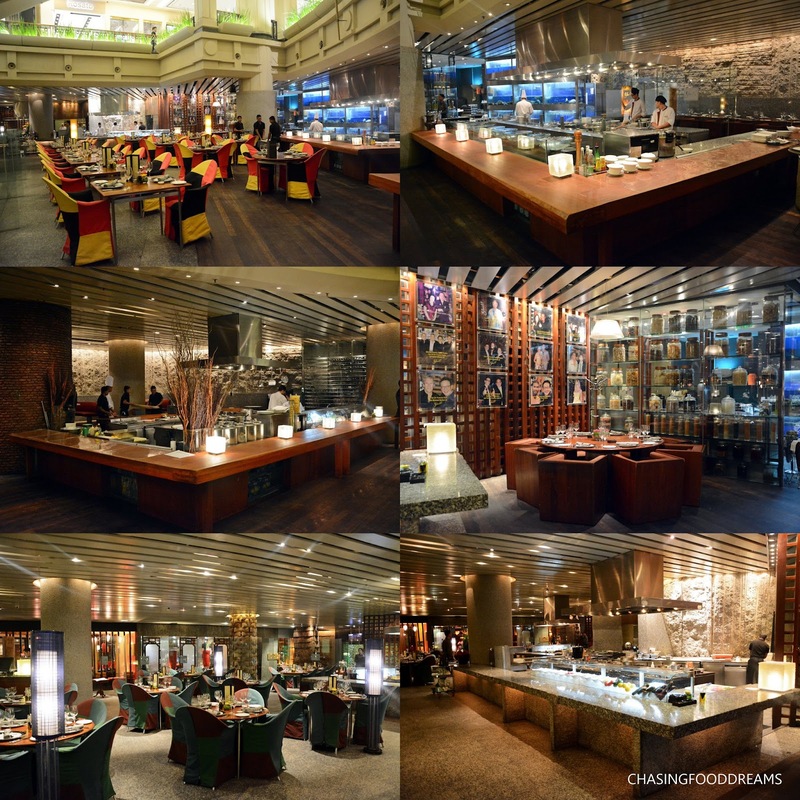 features four distinct gastronomical cuisines from four epicurean chefs all set in one elegant destination. Shook! menu includes a scrumptious list of Chinese, Japanese, Western Grill and Italian. The dining area is framed by the four open-kitchen stations and is also design with several themes to set the ambience for the four cuisines. Private room dining is also available. What is impressive is the open space with the high view of the exquisite Starhill Gallery that spans up several floors to project a wondrous and gorgeous view of the shopping complex. Gourmands are treated to a sneak peak at what’s in store for the coming Twisted Malaysian Fair menu for the gala dinners. Taking the on Malaysia’s classic dishes, Chef Mathew injects his own twist in all the dishes to bring the country’s cuisine to a modern edge. Our evening kicked off with assorted canapes where Prawn & Avocado Tart, Salmon with Salmon Roe and Mushroom Vol Vents rules. The canapés are a great appetizer, especially for cocktail hours prior to the gala dinners. A signature of Chef Mathew, the starter course of the evening was a delectable Yellow Tuna Carpaccio ‘Nicoise Style’. Blue fin tuna is seared on the outside and left raw on the inside. The tuna is accompanied by garden greens, sun dried tomatoes, Kalamata olive, blanched green beans, organic boiled egg, fresh herbs and dressed with a tangy Lemon Dressing. The tuna goes well with the dressing and the salad combination, each one providing its own flavours and textures. The next course features Spicy Lemongrass Broth, a soup that evokes all the savory, sweet, sour and spicy senses. It is lightly creamy with a great balance of sourness and spiciness that makes one want to continuing enjoying this bowl of bold flavours. The broth has shrimps and season mushrooms for extra flavours and textures. The presence of lemongrass is very distinctive and beautifully enhanced in the broth. It’s a very delicious broth! Our main course is gorgeously presented. ‘Rusuk Rendang Puncak Mahligai’ is translated as Slow Braised and Grilled Beef Short Ribs ‘Rendang Style’. The beef is cooked with lots of local spices for long hours to yield an unctuous and tender beef. The gravy is thick and has turmeric, shallot, ginger, coconut and many more ingredients in making a creamy Rendang curry. The beef is just so awesome in texture and flavours. The side of pickled pearl onions, creamy Rendang gravy and chili is a well-combined dish. Each one renders a different flavour from sour to creamy to spicy. This course won many approvals from everyone that evening. Dessert is such a pretty plate of colors with various shapes and sizes. Named Malaysia Flavour 2014, it consisted of everything Malaysian with a list of Lemongrass Jelly, Coconut Mousse, Pandan Sponge, Mangosteen Sorbet, Peanut Gianduja Crème and Gula Melaka Sago Pearls. It’s a very clever take in using classic Malaysian ingredients in a modern Western dessert. Despite the many ingredients and elements in the dessert, they all seem to come together like a symphony of a harmonized orchestra of flavours. I was particularly fond of the white sphere shell encasing the Coconut Mousse and the fruity Mangosteen Sorbet. A bold and brilliant creation!